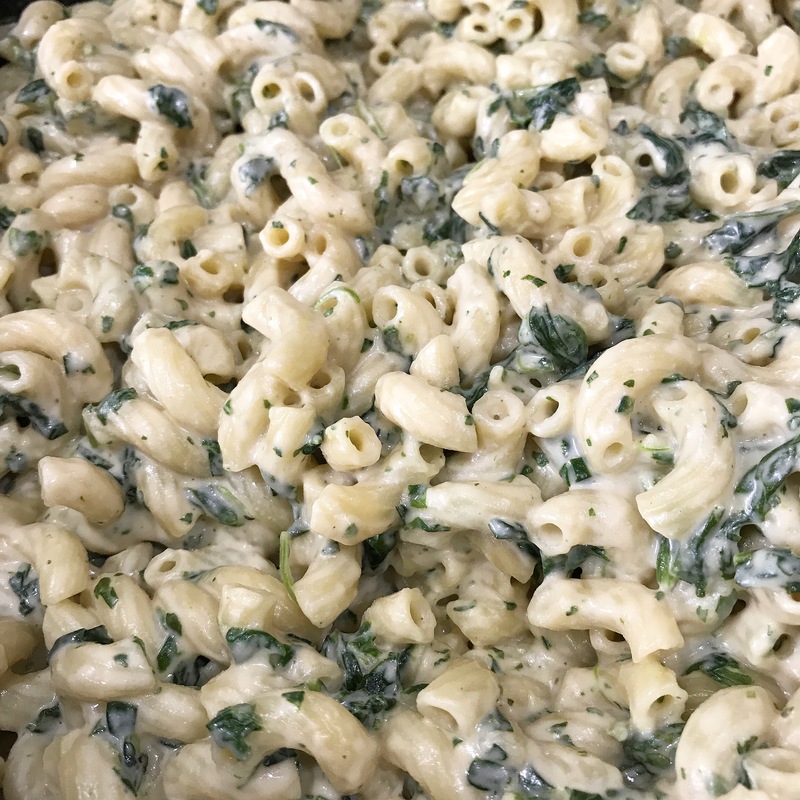 The other day I made mac and not-cheese for dinner and people started asking for the recipe. Well, here it is! It is very simple and tastes really good. Place all ingredients in a powerful blender and mix until creamy. That’s it! Mix with your favorite pasta! 2 cups of chopped frozen Spinach heated in a separate pan. Coloca todos los ingredientes en una licuadora potente y mezcla hasta que quede cremoso. ¡Listo! Mezcla con tu pasta favorita. 2 tazas de Espinacas picadas congeladas. Calentar en una olla aparte.